Rare and beautiful . . . .
Effortless in design and function. 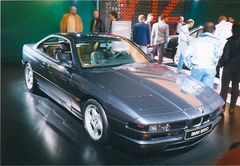 Ahead of its time when introduced in 1989, the E31 BMW 8 Series is currently enjoying a resurgence in global popularity after the last car was produced May 1999. 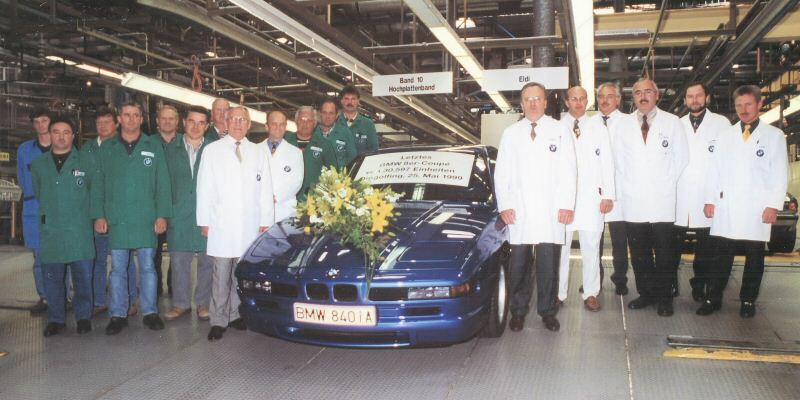 The E31 BMW 8 Series Registry's preservation mission is to catalog, document and promote one of the pre-eminent sought-after collector cars from the late 20th century. 18 months after passing the 10k cars milestone we are pleased to announce that the 8Coupe team has again added more than one thousand new 8ers to the archive which on this 11-11 coincidentally holds data for 11.111 8-series cars. The 8Coupe archive has seen a significant increase in size by and large due to larger sized pictures taken all over the globe and now exceeds 50GB of data. Within the archive we now store 320.000 files of which 200.000 depict 8-series cars and more than 37.000 PDF files of sales ads and supplementing information. 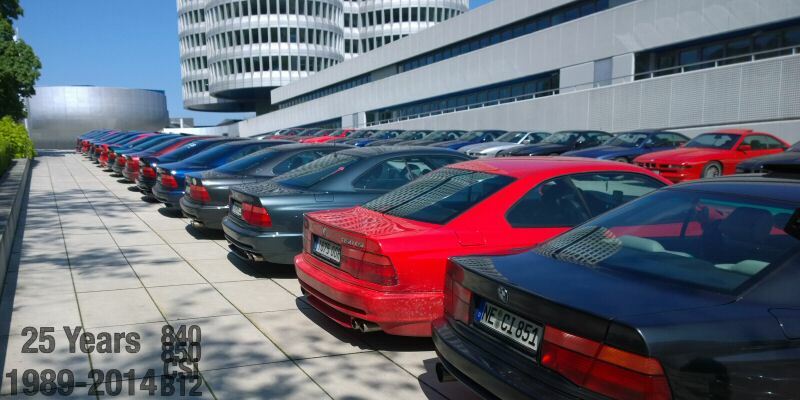 ...it appears that following the 25th anniversary in 2014 car collectors have started to smile at the 8-series and prices are finally on the way up. We have more than 12,000 8er's cataloged with detailed information. Please make use of the search box below to find out whether a specific car is in the 8Coupe.com archives. To perform a search enter the last 7 digits of the VIN e.g. CC67485. The search result contains the number of archived pictures (JPG) and documents (PDF) along with the first and last archival dates in ISO format YYYYMMDD. There is no online repository for the files archived. In case you would like to obtain information about a specific car or report a VIN not yet in the archive please do so using the contact form! 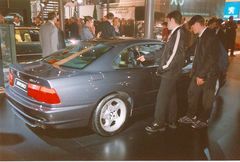 After almost ten years in production BMW displayed the 8-series for one last time at the Geneva Motor Show in March 1999. This M73 850CiA is one of only 10 8ers in the rare colour Anthracite Metallic (397) and the interior was clad in Anthracite buffalo hides. 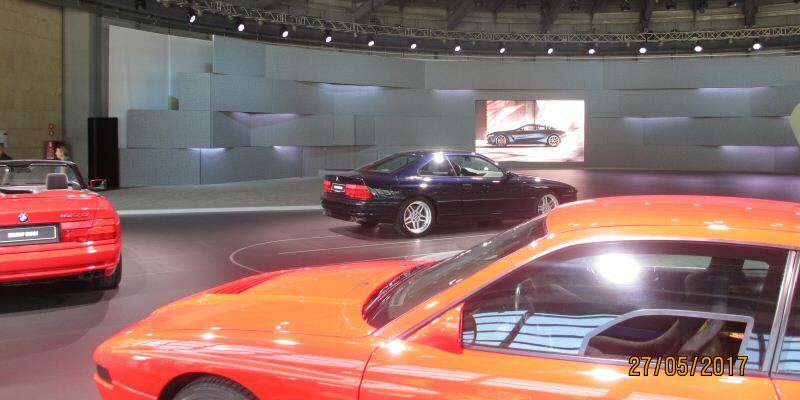 Only two months after those pictures were taken the final curtain fell for the 8-series.